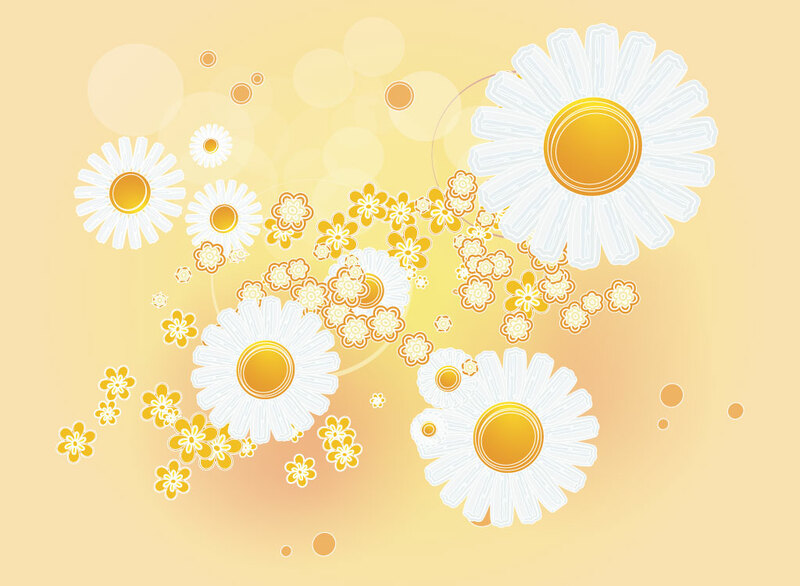 Free vector download with a muted golden background image, scattered decorative flowers and white daisy graphics. The color scheme and nature elements make this a must have for your collection of stock summer and floral graphics. Great for calendars, postcards and greeting cards. Tags: Daisies, Floral, Flowers, Fresh, Garden, Natural, Organic, Spring, Summer.